Once you have chosen a design you will cover a multitude of different techniques – from design transfer to preparing your fabric for paint and applique and the course covers free motion stitch effects that you can achieve with the free machine embroidery foot. 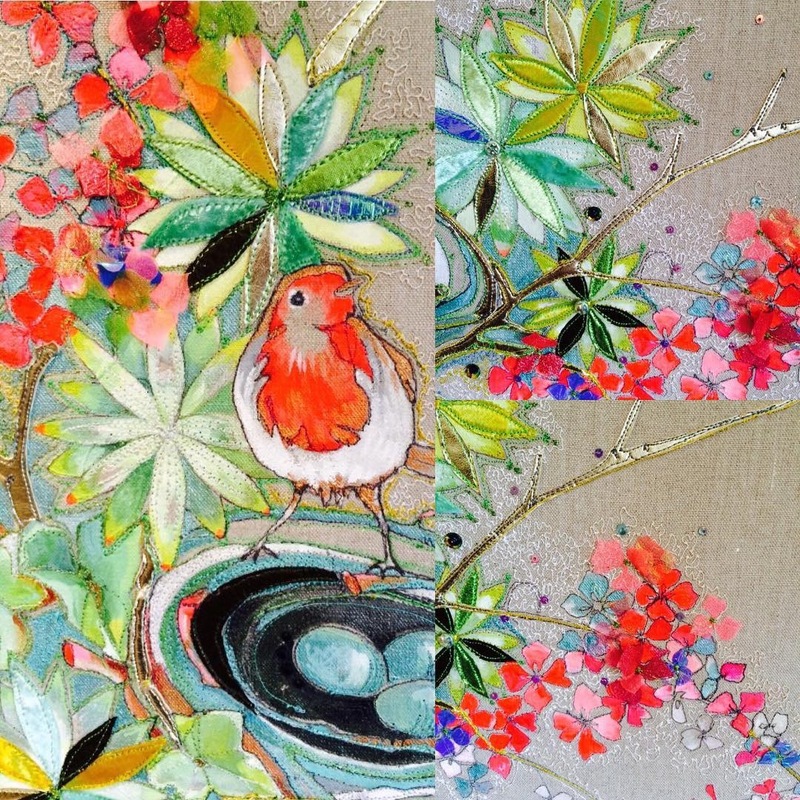 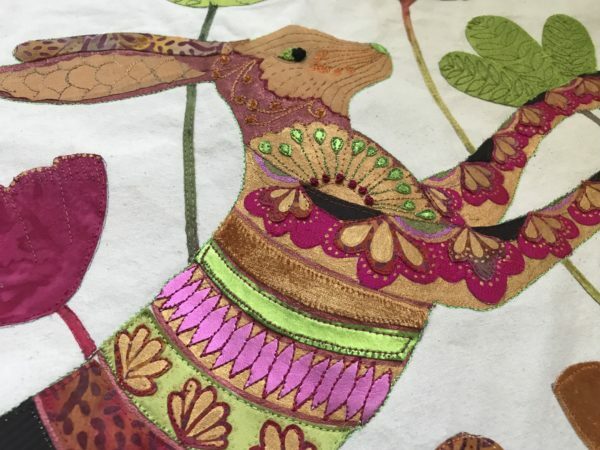 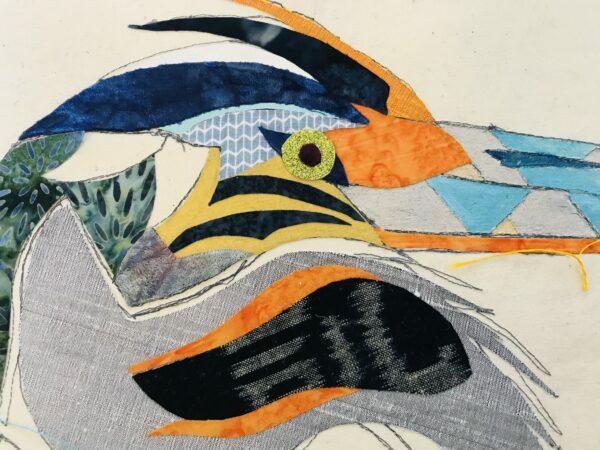 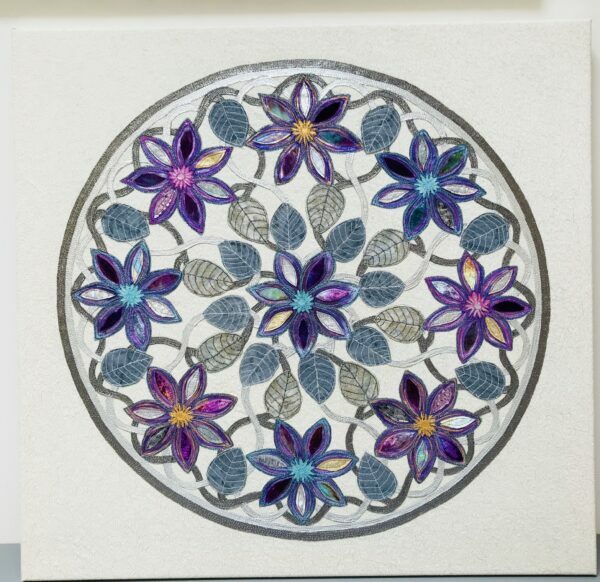 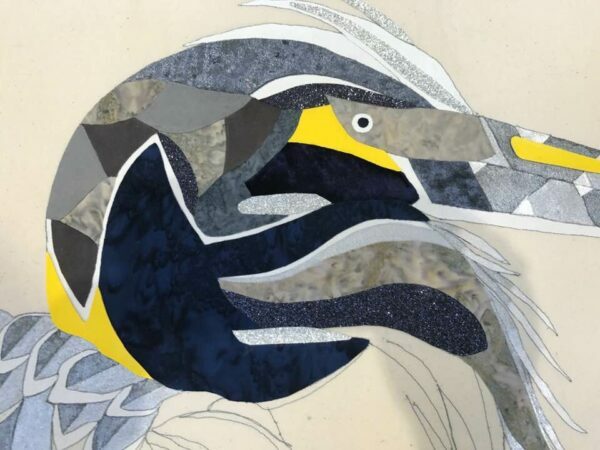 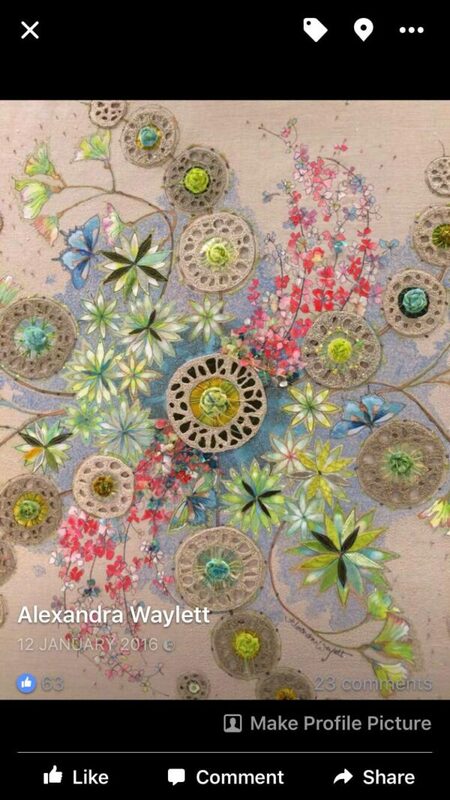 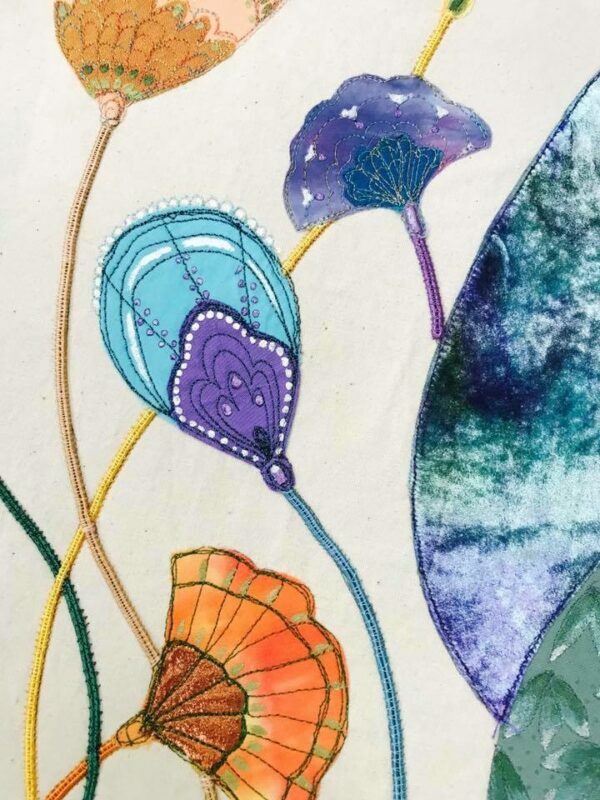 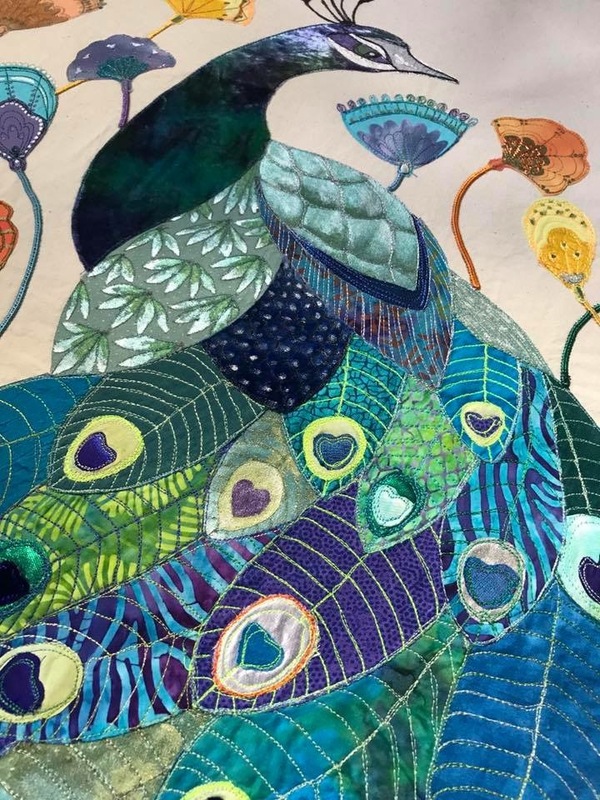 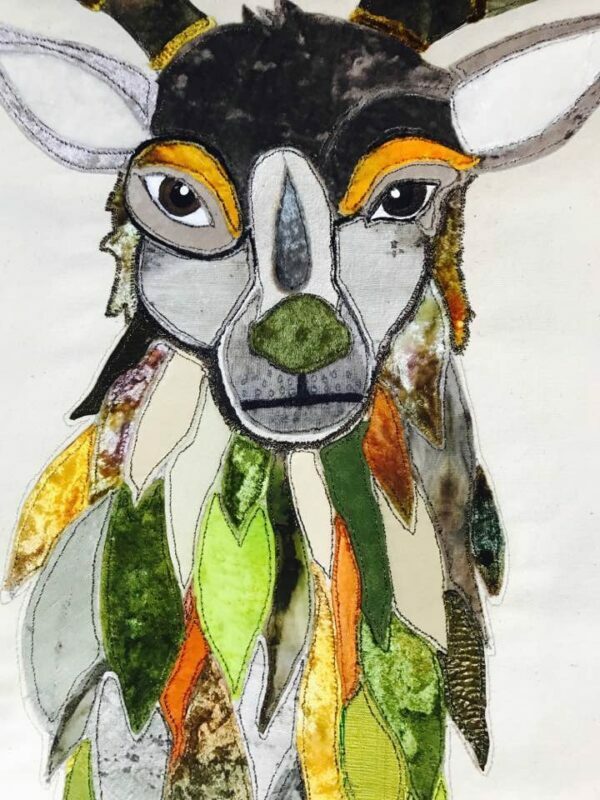 Having chosen your design your first day will be spent outlining your motifs onto your background fabric – the second day you will begin to look at colour and appropriate metallic and opaque paints alongside preparing applique pieces of fabric, building up a highly textural wall hanging. 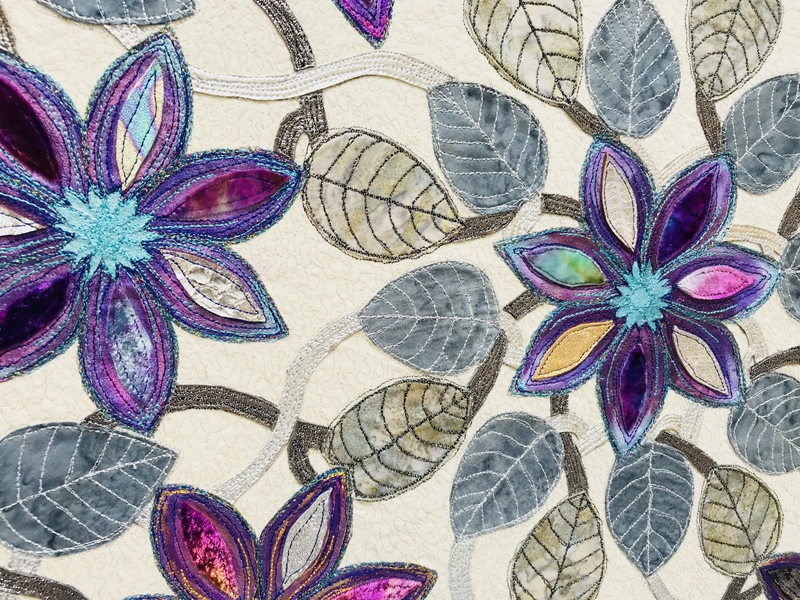 Fabrics such as metallic faux leathers, silks and velvets alongside commercially printed cottons will all have a place in your completed wall hanging. 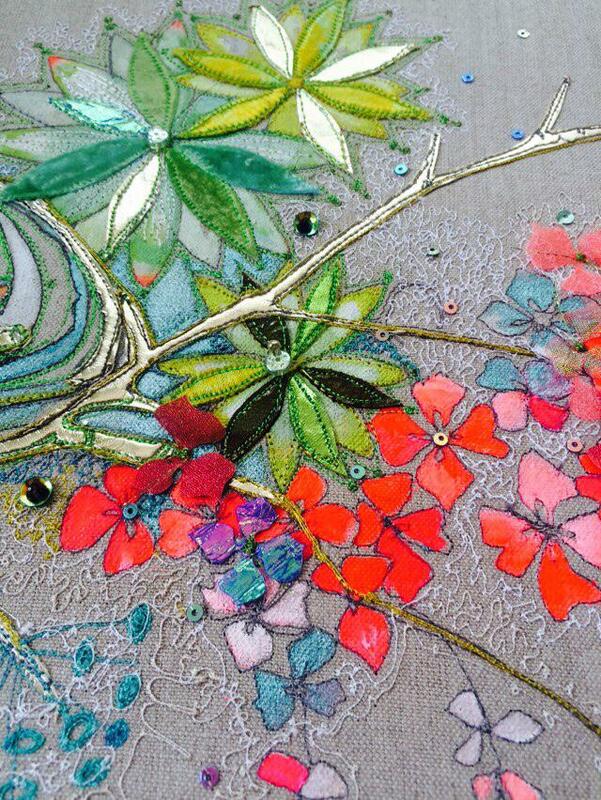 The panel will be designed within the two days and finished off at home at your leisure. If you would like to be well prepared contact me a few weeks before to choose your design prior to the workshop. 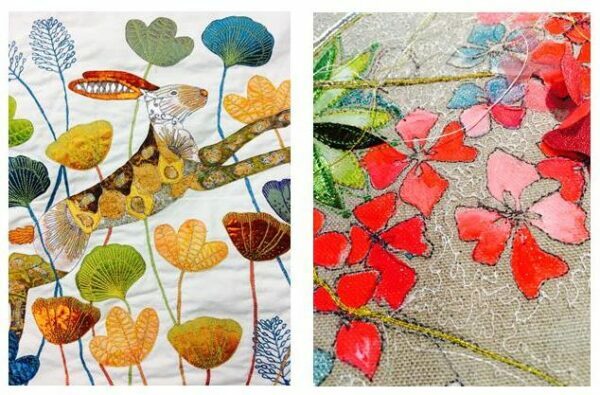 Selection of fabrics from your stash to inc commercial cottons, batiks, velvet and faux metallic leather if you have some. 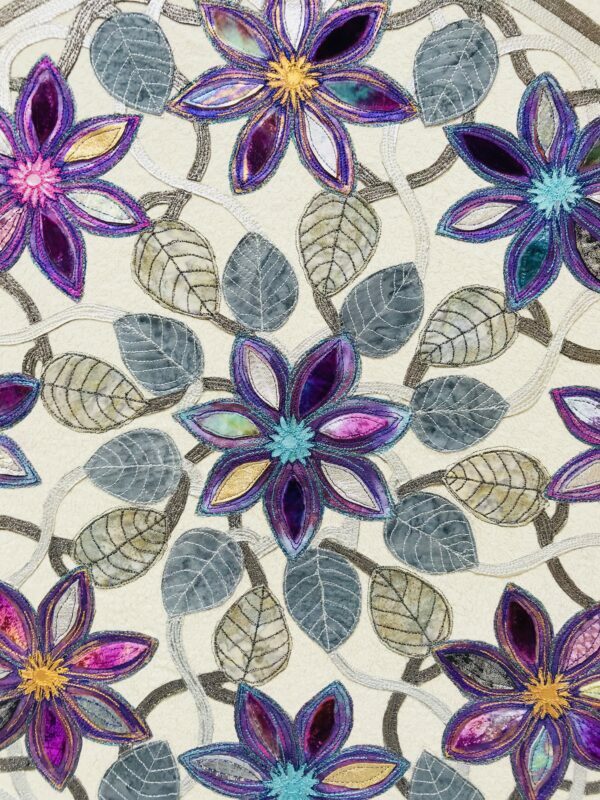 Selection of metallic acrylic paints such as Lumiere.